The world’s most famous music artist is coming to South Africa. This not-to-be-missed event will be held at the FNB Stadium in Johannesburg on Sunday 14 May and in Cape Town at the Cape Town Stadium on Wednesday 17 May 2017. 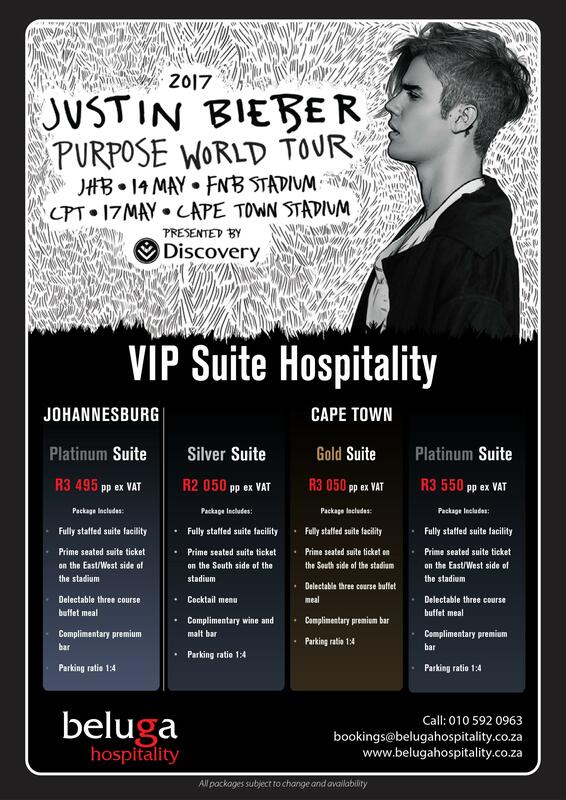 Currently one of the most famous people on earth, Justin Bieber returns to South Africa as part of his Purpose World Tour. Don’t miss out on seeing one of the best performers in history live from one of our VIP locations.